Upgrade your bike with our ultralight & compression-less casing, CNC machined ferrules, die-drawn inner wire & spiral frame protectors. Combining an aluminium core, Kevlar wrap and PVC liner, this combination of components will significantly reduce weight and drag, meaning your gears can be shifted with reduced lever action, letting you dominate climbs with ease. 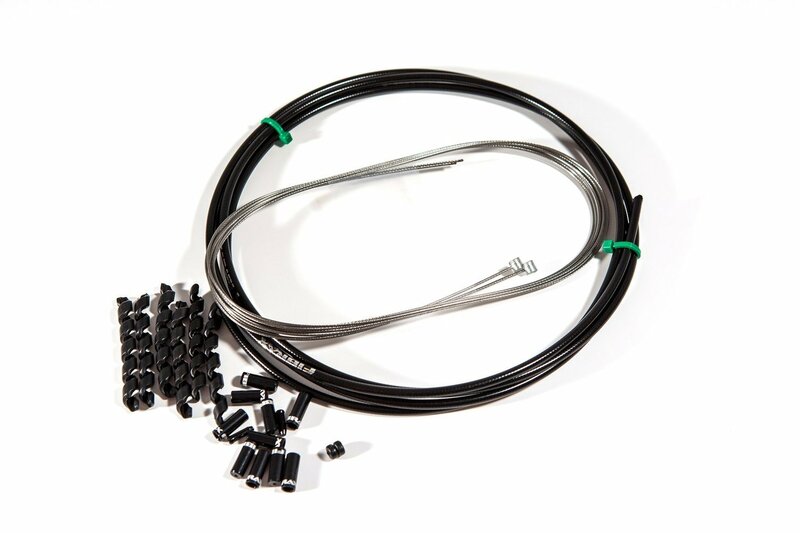 An upshot of this kit is, as we use a drawn wire you can purge the casing of dirt using any spray lubricant keeping your cables running smoother for longer.